As I write this update, I am reminded that sometimes we forget that when Jesus died on the cross, he was making the payment for sin for all people including these 100+ young men that are studying at a temple school and preparing for their future. Jesus loves these young men and through our English language platform, God has given us the opportunity to teach them English and in so doing share the heart of the message of the gospel in a natural way. Please pray for these young men to think about the story that they have heard today and to reflect on what it means to be a follower of Jesus. As I write this update, I am sitting in my office in Northern Thailand reflecting on what God is doing in this part of God’s world that many have described as the most thoroughly Buddhist area in the world today. I want to thank all of you for joining us in this Spiritual Adventure and Season of Prayer. 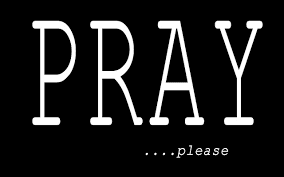 We need your prayers. We want your prayers. 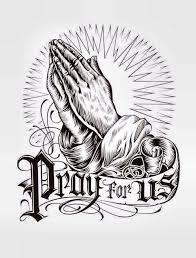 We ask for your prayers. 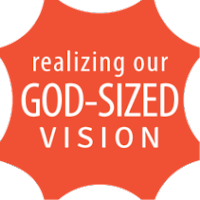 We believe God is asking you to pray for His work that He has entrusted to us as stewards. 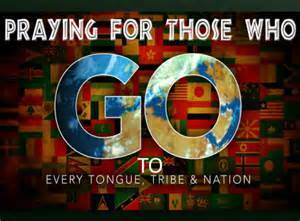 This time of year is always a very reflective time for me personally where some of the deepest desires of my heart are to not only join God in what He wants to do but also to invite and to facilitate others joining in on God’s agenda to reach the “nations” for Jesus Christ. Think with me for just a moment. What is the “business” of Toyota? I would describe the business of Toyota as a company is to meet a transportation need of people who want to get from one place to another place by relying upon their own vehicle to drive. 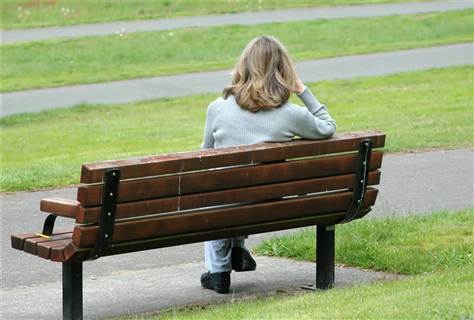 It is not just about selling as many cares as they can…when you really think about it, it is really attempting to meet a felt need in the consumer’s life. What is the “business” of SHELL? In a similar vein, I would say that the business of shell as a company is to meet a transportation need of people who already have a vehicle and need the fuel necessary to get from one place to another. It is not just about selling gas… it is an attempt to meet the felt need of people who own cars and trucks and need fuel to get them to their destination. You might think it strange that I ask these question. But let me take your thoughts a little farther. Now, let me ask you this question? 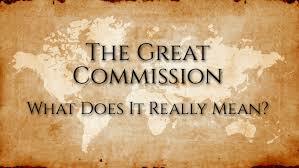 What is the “business” God has commissioned His Church to be about? 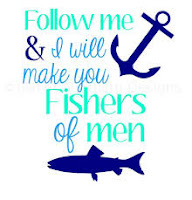 Jesus commissioned His disciples to join God in His work of redemption and of life transformation (discipleship) of every people group in our world today. We are in some ways to be like international farmers…. Taking the good seed of the gospel of Jesus Christ to very dark places that have been steeped in traditions that have been handed down from one generation to another for thousands of years. 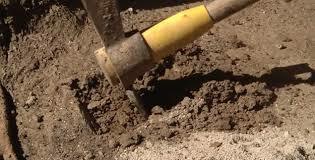 We are to go to those places as farmers and we must till that hard soil. If we don’t work that hard soil, this good seed of the gospel will never enter into Thai people’s hearts. 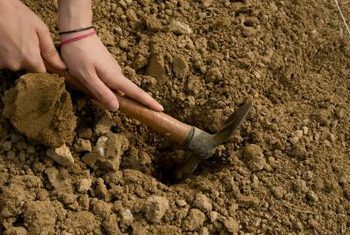 We will never have a huge harvest if we do not spend time preparing the soil for this good seed. Christianity is seen as the religion of “the white man.” They have a saying and thought pattern that says, “To be Thai is to be Buddhist.” These are some of the strongholds that keep the soil of the heart hard and unwilling to accept the good seed. 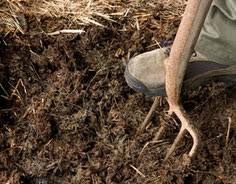 Let us be good and wise international farmers and make sure the soil of the heart is being prepared through love and good deeds through lives that are full of kindness and truth. 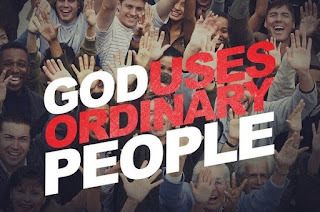 One of the ways that have seen God at work changing hearts and attitudes is though identifying some of the felt needs of these people groups and then helping meet some of those felt needs in a way the allows the love of God to flow through our lives and touch them at the heart level and in a very relational way. This is one of the reasons we spend so much effort, time, and resources on Teaching English, conducting English camps and English Fun Days. Yes, these are fun, but let me be perfectly clear that we do these things not because they are fun, but because we are fighting over the souls of people who have been trapped in darkness in Thailand for thousands of years and it is our honor to be able to serve God in a way that blesses the Thai people, helps change attitudes toward Christians and toward our Savior, and love Thai people enough to invest and pour our lives into them in order that we might have a chance to join God in seeing some of them become followers of Jesus and have their names written in the Lamb’s Book of Life. If teaching English helps advance the kingdom of God then I am willing to become a teacher of English who desires to live my life in such a way that others see the love of Christ in my life and am drawn to this great Savior. This is the hard work of preparing the soil of the heart and after 19+ years of doing this, I have seen God do some amazing things that only God can do. As I think about all the lives we have been able influence for the advancement of His kingdom, I am deeply humbled that God would use sinners like us. 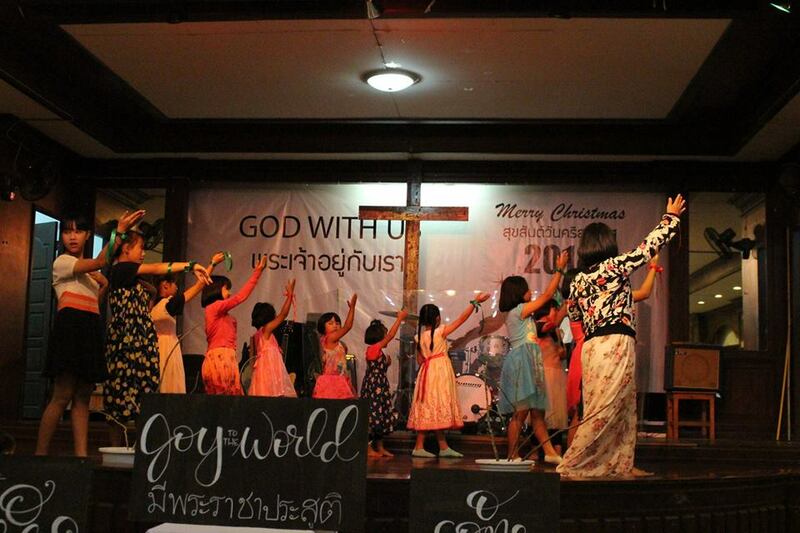 Please pray for all of us in Northern Thailand who are working the fields and plowing the soil of the heart through teaching English, through meeting felt needs, and by taking the message of our great Savior to people during this Christmas season. As I write this update, I am reflecting on all the events and the time of celebration we had with the community of Chiangrai this last Saturday. 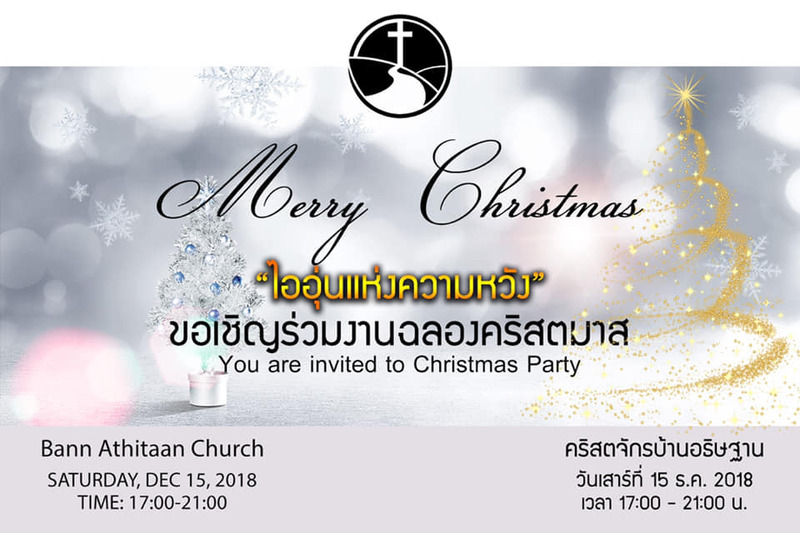 We prayed, planned, prayed some more, invited a partner church from Mississipi to come and help us, prepared, helped mobilize our church family, and anticipating this single largest evangelistic Christmas celebration of the year at Baan Athitaan Church…and then Saturday came. What a great day it was filled with lots of love, joy, and peace as we celebrated the Birth of our Savior with somewhere between 400 and 500 people, some of them hearing the story of the Birth of our Savior for the very first time. So very thankful for the cooperation of our church family in preparing some awesome food booths, some great skits and performances, and spending lots of hours getting set up before and then cleaning up afterwards. Thankful for your support and faithful donations given so that we can reach and disciple 1st generation believers from some of the least reached peoples in our world today. Thankful for the team from Gulfport, MS that came to help us. So very thankful for the chance to help God's people be intentional about joining God in what He wants to do in this part of God's World. 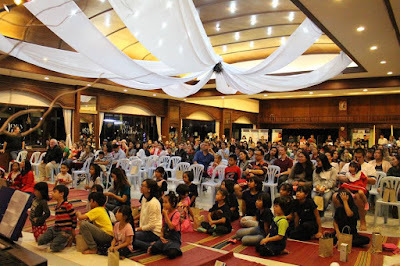 We had somewhere between 400 to 500 people at our festivities and all of them got the chance to hear a very clear message of the "The Hope and Warmth of Christmas" by a very good friend and partner in Ministry Pastor Israel Cox. Please continue to pray for the seeds of the gospel that have been planted. For those who do not have Facebook, here are just a few pictures. Thank you for joining us in this SEASON OF PRAYER. Today is Day 17 of our Spiritual Adventure of getting to know and then actively praying for Northern Thailand Impact Ministry (NTIM) and all of the various unreached people group in and around Northern Thailand. Thank you for joining us for this great time of seeking the face of God on behalf of millions who have never heard the message of our Lord Jesus. As I write this update it is actually the morning after our soccer outreach last night Dec 14, 2018. God has given us several platforms of reaching out into our community to advance the cause of Christ and one of those started many, many years ago and has continued to flourish. That platform is our soccer outreach platform. God has raised up 3 men that currently lead this ministry: Jay, Ball, and Glen. These men are involved in our soccer outreach each week but this was a very special time last night when we had about 50 men who are currently university students come out to our Christmas Tournament and have not only a great time, but got to hear two testimonies and hear the truth that the real meaning of Christmas is the celebration of the Birth of Jesus Christ who would one day die on the cross for the sins of all mankind. 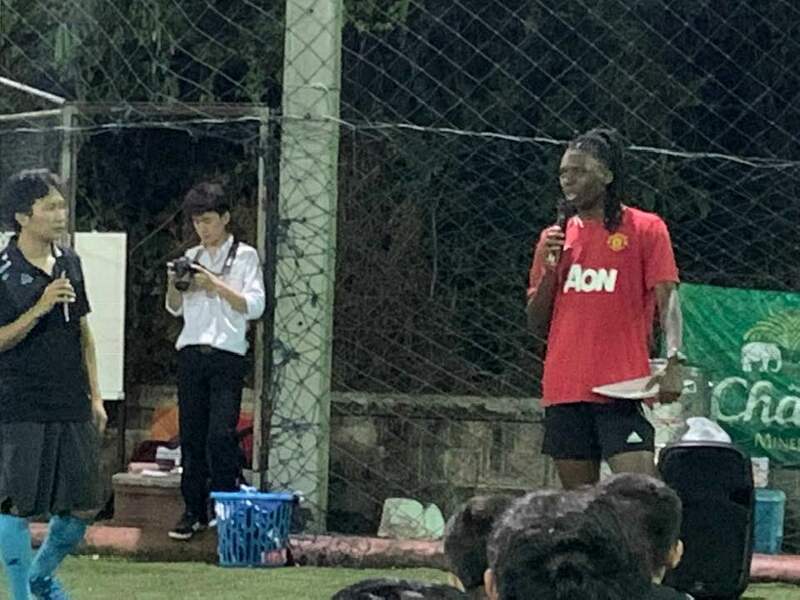 We are thankful that both Ahyaw – a young man that is active in our church here – and Nick – a young man active at our partner church from MS – were able to share their testimonies of how God changes lives. We were so blessed to have a team from Gulfport, MS to share in what God is doing through our soccer ministry to these young men and future leaders. Please keep us in your prayers as we reach out to some of the least reached people in our world today. Also please remember to pray for our outreach tonight – it is at Baan Athitaan Church and will our largest single outreach event of the year. 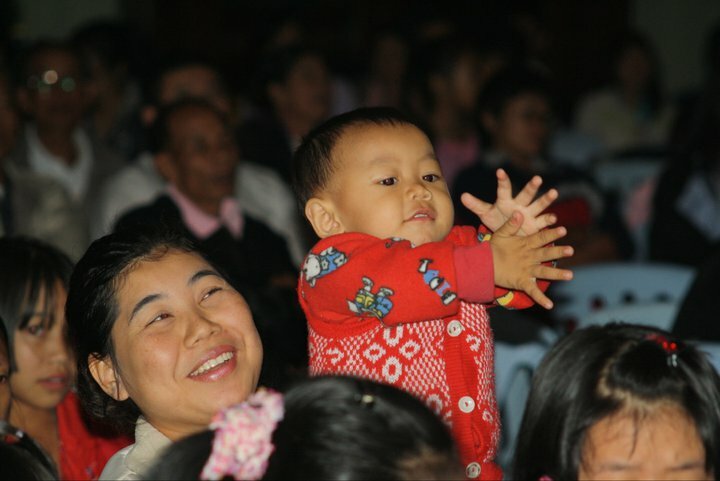 One of the places God is building his church is in Chiang Rai, Thailand, right in the heart of dozens of unreached people groups and among millions and millions of people who do not know Jesus as their personal Savior. 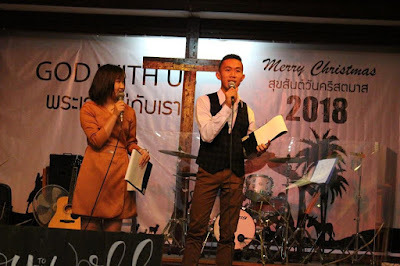 God has chosen to use a small group of people living in Chiang Rai to join God in making disciples of hundreds of Thai people, most of whom are 1st generation believers and these 1st generation believers are normally the first people in their entire families to become followers of Jesus. What started as a small group of 8 believers in the Johnson home some 17 years ago has blossomed into a growing, thriving, community church made up of people from over 23 identifiable people groups and involved in outreach - evangelistic ministries related to teaching English, caring for those affected by HIV/AIDS, caring and ministering to various children’s homes, reaching out to the community and neighboring countries, and most importantly very committed to making disciples of all the nations God brings across our path. We are very grateful for the partners and friends that God has surrounded us with including our partnership with various churches, and individuals all over the world who support the Johnson family and their team of partners in God’s work here in Northern Thailand. We have been very intentional these past 19 years of living in Thailand to focus upon language and cultural adjustments, evangelism, discipleship and building the people of God into a family. 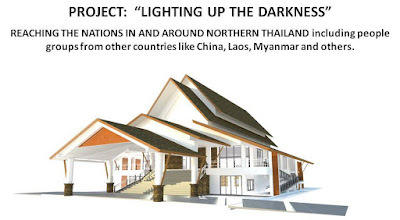 As I shared with our prayer partners and financial supporters since we began “Operation Lighting Up The Darkness” and want to repeat that again this year, the Thai people have been overlooked for far too long and we believe it is God’s time for God’s people to join Him in what He wants to do in this part of God’s World. 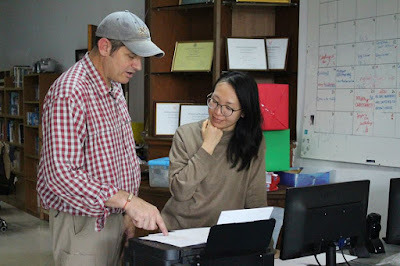 We have seen God use our English Language teaching platforms - first the Lighthouse Language Center (LLC) and now Grace Language School (GLS) in amazing ways to change attitudes, to change beliefs, and to change lives and to be light in a very dark place. We are truly making an impact in this part of God’s world for His Kingdom and the advancement of the gospel. However, our overhead expenses related to the rental of our property really hampers out ability to do all that God wants us to do. It is with great joy that I can share with you that God has already provided us with a small appropriate and strategically located piece of land and we are in the last phase of raising fund for the building which we would love for each of you to be a part of. We believe that it is God’s timing to now say to the darkness that “we are here to stay” through the building of a multi-purpose facility that would house our English language school, would be NTIM’s “beachhead field office,” would house offices for some of our partners in ministry, would be where Baan Athitaan Church meets each Sunday, and would be a facility that would be appropriate for housing camps, seminars, and conferences for the purpose of expanding God’s kingdom. God has planted the “church body” in a place in Northern Thailand that is strategically located between two major universities in Chiang Rai – Mae Fah Luang University and Rajabhat University where there are approximately 30,000 students. God has been gracious and God’s people have been gracious and donated enough money for us to buy a prime piece of land that has now been transferred into the name of NTIM’s sister foundation here in Thailand and Phase 1 of this project has been completed. Phase 2 of raising funds and planning for construction has been going on for about a year now and we are making huge progress. We have had a couple of issues come up with our original construction plans and that has caused our cost of construction to increase a little bit from our original plans. One of those changes had to be made because of restroom space to meet new building requirements. As of our latest changes in the building requirements, our estimated expenses for the building are right around $400,000 US Dollars. We currently have on hand around $188,000 US Dollars. We are in need of an estimated $212,000 Dollars. That is a God-sized number for us. 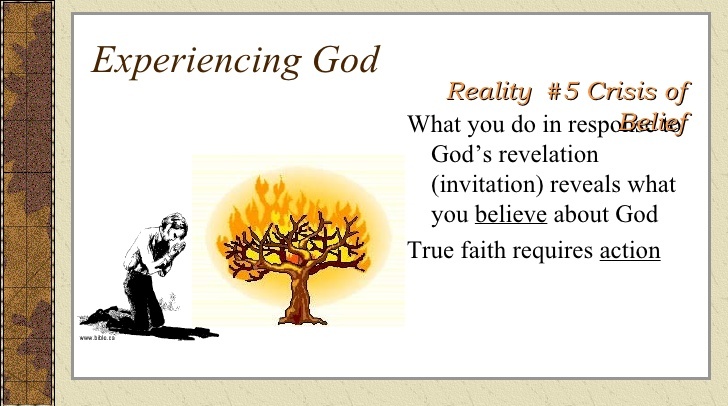 Apart from the Bible, one of the most influential books in my life is a book written by Henry Blackaby called Experiencing God. In this book, Blackaby helps us understand many very critical concepts and one of those critical concepts is Blackaby refers to as a “crisis of belief.” For Blackaby, a “crisis of belief” is not some emergency or traumatic event that happens to us. 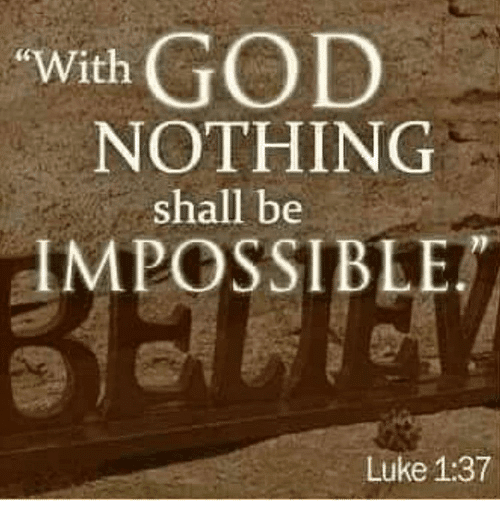 No, rather it is a part of an ongoing process of us continually giving ourselves over to God’s plans for our lives by trusting Him for not only the resources needed to carry out God’s will but also for believing that He can and will do through us what seems to be impossible by man. 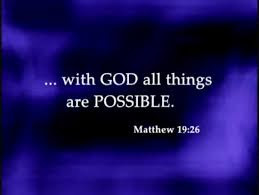 Do we really believe that God will provide everything we need in order to carry out His will? The idea of the “crisis of belief” is that we have come to a place in following God’s leadership where we can’t go any further with God’s supernatural intervention. 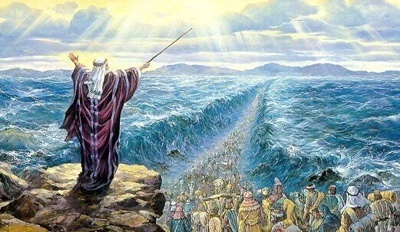 Much like when the children of Israel had just be brought out of slavery in Egypt where they had been slaves for over 400 years and now the chariots and armies of Pharaoh have decided to go after them and bring them back, yet God has brought them all the way to the Red Sea with no way to cross over to the other side without some supernatural intervention. 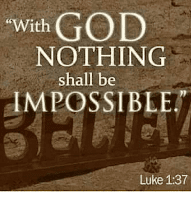 That was a crisis of belief for Moses and the children of Israel, and you and I know that God was with them but needed his people to humble themselves, turn to Him, seek His face, and ask for His provision and when they did, God parted the seas. I believe that we are at a similar place in our ministry today. 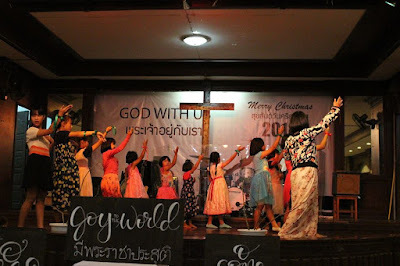 We have seen God move mightily these last 20 years and have seen hundreds of Thai people become followers of Jesus as we have tried to walk with God and honor God and join God in all that He wants us to do to reach the Thai people. 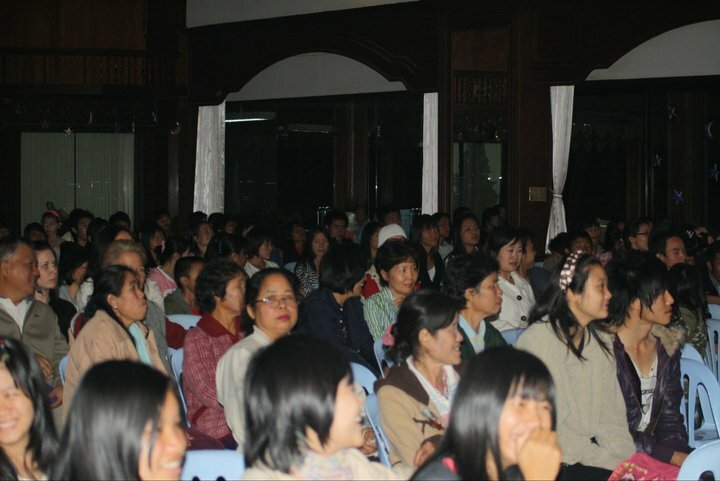 Many of these Thai people are the first persons in their entire family to be followers of Jesus and most of them are from some of the least reached people groups in our world today. God truly is at work. We have sensed God’s leadership to say to the darkness that God’s work of transformation is here to stay. We have seen God provide us with an awesome piece of land where our work among the 30,000+ university students can flourish and our platforms of Teaching English and of Soccer ministry can continue to advance the Kingdom of God. We are at that crossroads today. And we are asking God’s people to join us in seeking God’s provisions for an additional $212,000 dollars so that we can begin this building project with all the funds needed to make it a reality for the glory of God!! We have submitted our building plans to the government and are awaiting their approval. Our desire is to begin building construction as early as January 2019 with the hopes that next Summer we can bring teams from the USA and other countries to come and help us with the final touches of the building with putting in the internal classrooms and doing all the painting for the glory of God. 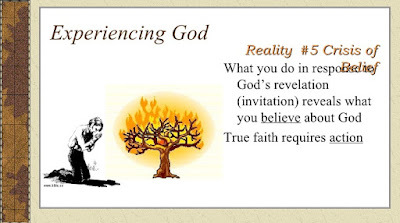 Blackaby says that one of the church’s calling is to show the watching world what it looks like to follow the one true God – and to live lives that can only be explained by the fact that God is who He says He is! 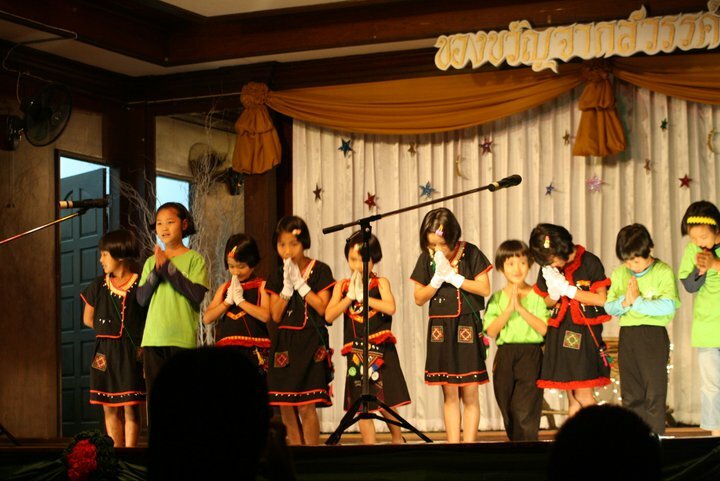 I love the Thai people very much. 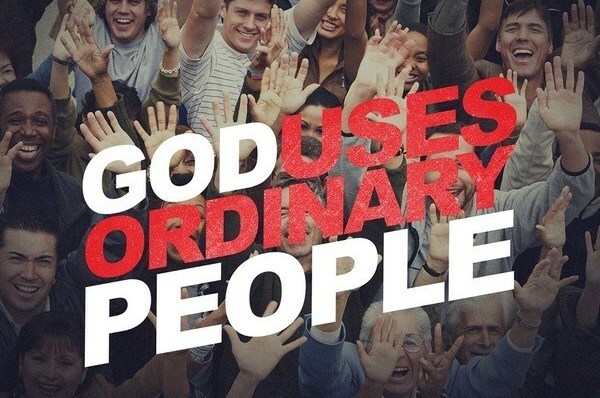 It gives me great joy when I see one of them give their heart to Jesus. 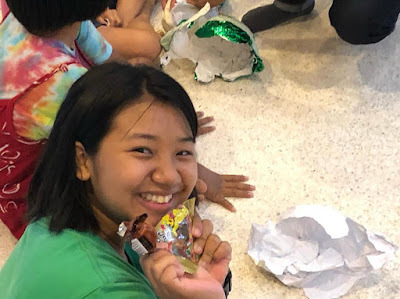 I have seen hundreds of Thai people give their hearts to Jesus and many of them become the first person in their entire family to be a follower of Christ. This is one of my life purposes – to join God in what He is doing to reach the Thai people with the love and message of Jesus. But it doesn’t stop there. That is just the beginning. It also gives me great joy when that new Thai believer begins to learn to walk with God as a disciple and follower of Jesus and begins to share their faith with others and lead others to Christ and learn what Jesus meant when He said in Matthew 4:19, “Follow me, and I will make you fishers of men.” It gives me great joy to see them give of their time and mentor new believers. 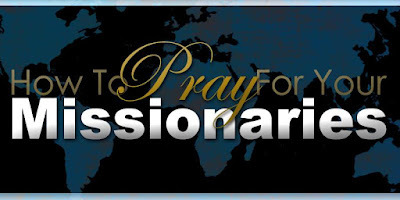 But let me be very clear today about a very critical subject I want to ask you to pray about. 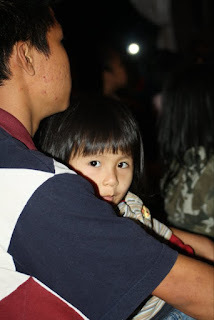 There are many strongholds that have kept the Thai people from Jesus for thousands of years. Some of these strongholds are thought patterns. Some of these strongholds are traditions and practices that have been handed down from one generation to another. Some of these strongholds are related to cultural norms that are in conflict with the teachings of the Bible. 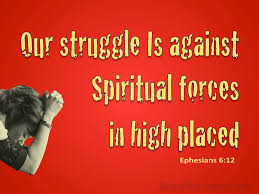 And some of these strongholds are related to the very real spirit world that is very active in this part of God’s world. 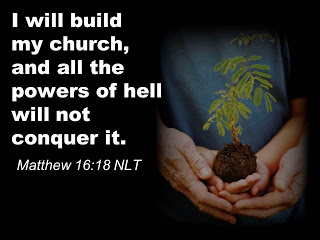 Friends and prayer partners, please understand that the battle over the hearts and minds of the millions of people from some of the least reached people groups in the world is not a battle over flesh and blood at all… but a battle with the spirit world that most do not see. These spirits and forces of evil have kept the Thai people from the love and knowledge of Christ for far too long. 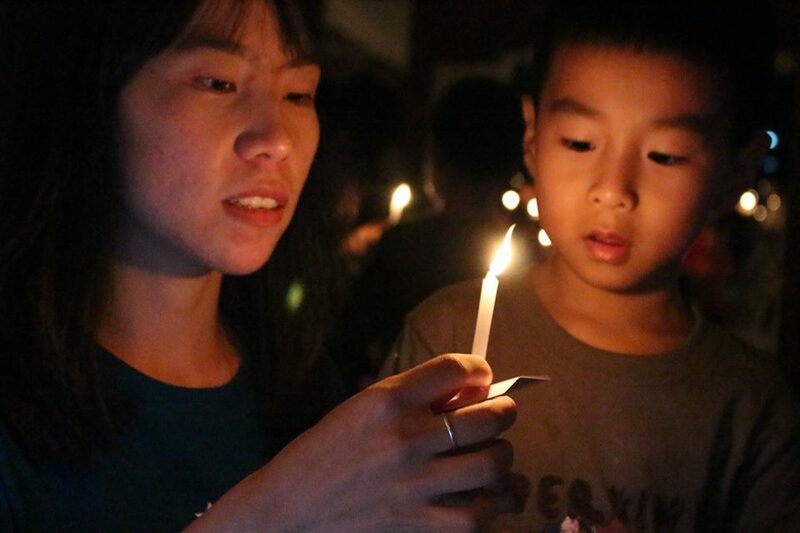 The time has come for the light of the Jesus to shine brightly in this part of God’s world. It is time for God’s people to pray for the release of the minds and hearts of Thai people so that they can turn to our great SAVIOR! 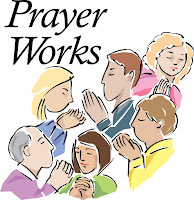 Let us pray, let us give, and let us go!!!!! IT IS TUESDAY… BUT SATURDAY IS COMING…. 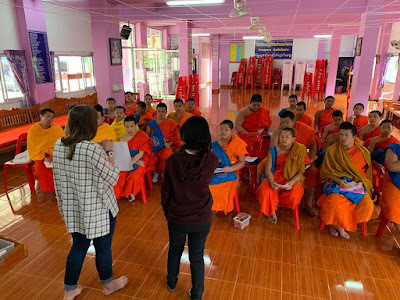 Today is Day 13 of our Spiritual Adventure of getting to know and then actively praying for Northern Thailand Impact Ministry (NTIM) and all of the various unreached people group in and around Northern Thailand. Thank you for joining us for this great time of seeking the face of God on behalf of millions who have never heard the message of our Lord Jesus. I love this time of year. 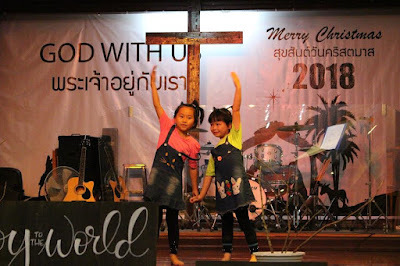 It is a time when Christians all over Thailand will be given numerous natural ways to share the love and message of Jesus with many who have never heard. We have no idea how many people we will have but in the last 10 years we have not had less than 300 people but never had more than 900 people. We will be doing some skits, some singing, and presentations along with various folks from our church. We have a partner church from Gulfport, MS who will be bringing a team to help us and they arrive this Friday and their Pastor named Israel will be sharing a brief Christmas message. Pray for a special move in the hearts of those who will be hearing this message of Jesus for the first time in their lives. Following our main program, we will release everyone to go to our soccer field in front of the church where we will have food booths. It will fun, free with lots of prizes, but most importantly there will be dozens and dozens and possibly hundreds of people at this one event that will be hearing the message of the gospel for the very first time in their lives. I would also estimate that there will be people from over 30 different unreached people groups (some of them the least reached peoples in Asia) gathered in this one place where the church of Baan Athitaan meets in front of Rajaphat University of Chiang Rai. I want to thank all of you who have been praying for us and reading these updates each day. I pray that they have helped you to see what an awesome God we serve and how deeply our Lord loves all these unreached peoples living in and around Northern Thailand and how He has invited us to join Him in His great work. 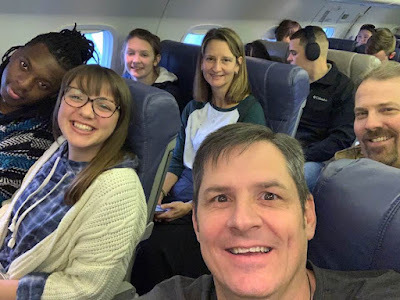 Today, I want to ask you to join us in praying for a few missionaries that partner with us in a very special way on a regular basis through Grace Language School like Keith & Taran, Alexa, Glen, Jodie, Derek & Jodi, Brian, and a host of other people from our church family… like Gary and Mem, and Kim and Gahn, and Jon and Chrissy, etc…. who all serve on the field here in Northern Thailand. I think I speak for most of us when I say that this is a time of year that is a time of high emotional strain and adjustment. We are deeply emotionally connected to our friends, our coworkers, and the people we have come here to serve in Thailand and are involved in Christmas outreach events almost every day, but our hearts also long to be with our families and friends back home and sometime our families do not understand and think we have forgotten then which is not even close to the truth. Our oldest daughter and her husband and our first two grandkids are in North Carolina. Our second daughter and her husband are serving in Bangkok and we are so thankful that they will be coming up to Chiangrai for Christmas. Our oldest son is in Atlanta and it has been are really long time since we have had Christmas together. 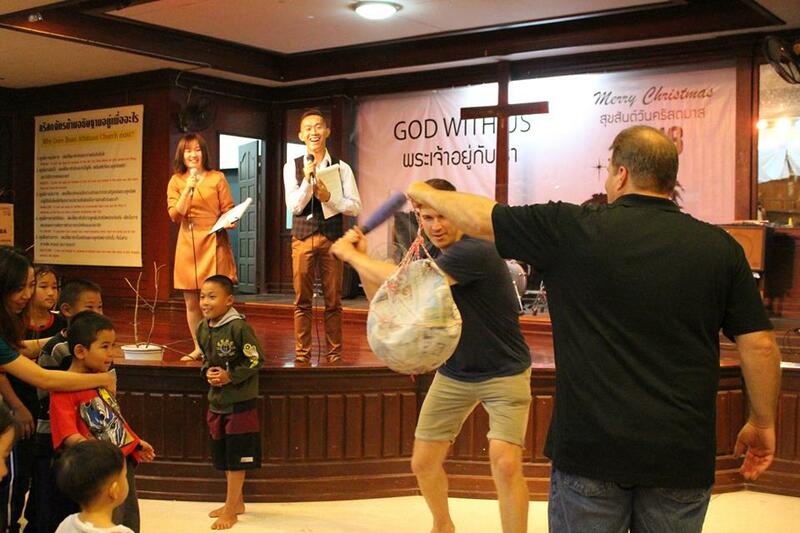 Our youngest son Caleb will be coming home to Chiangrai, Thailand for Christmas.. yea yea yea. I can’t remember the last time we had Christmas together with my mom, brother, Hope’s Dad, Sisters and relatives. I would love to walk up to my mother and give her a hug and say “Merry Christmas Mom. I love you.” I would love to go over to my brother’s house for Christmas Eve or Christmas Day and have a meal and celebrate Christmas with both of our families. I would love to spend time with Hope’s Dad and sisters and their families as well. Those are desires that we have tugging at our hearts this time of year in a way that is just hard to pen. Please understand and pray for your missionaries especially those that are long term missionaries. This is the time of year that they (we) really do have struggles and they (we) really do need your love and your support. 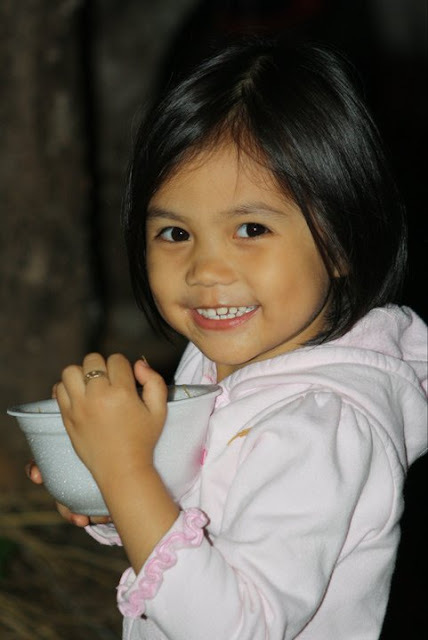 Today is Day 11 of our Season of Prayer of getting to know and then actively praying for Northern Thailand Impact Ministry (NTIM), its partners, and all of the various unreached people groups in and around Northern Thailand. Thank you for joining us for this great time of seeking the face of God on behalf of millions who have never heard the message of our Lord Jesus. 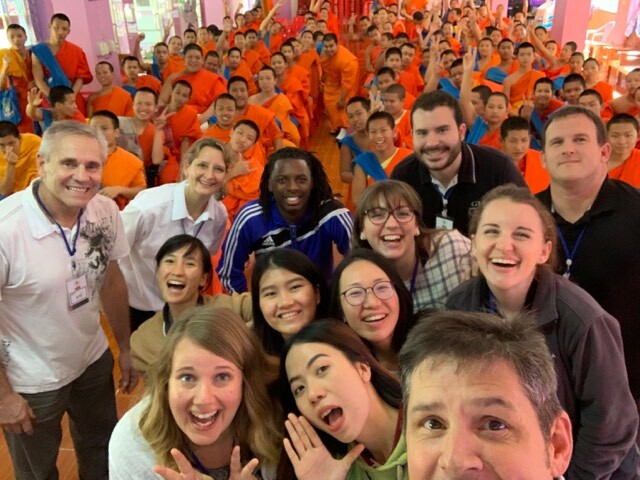 As I write this update, I am sitting at my desk thinking about all of the discipleship and mentoring that happens through the awesome Thai staff that God has surrounded our work with. 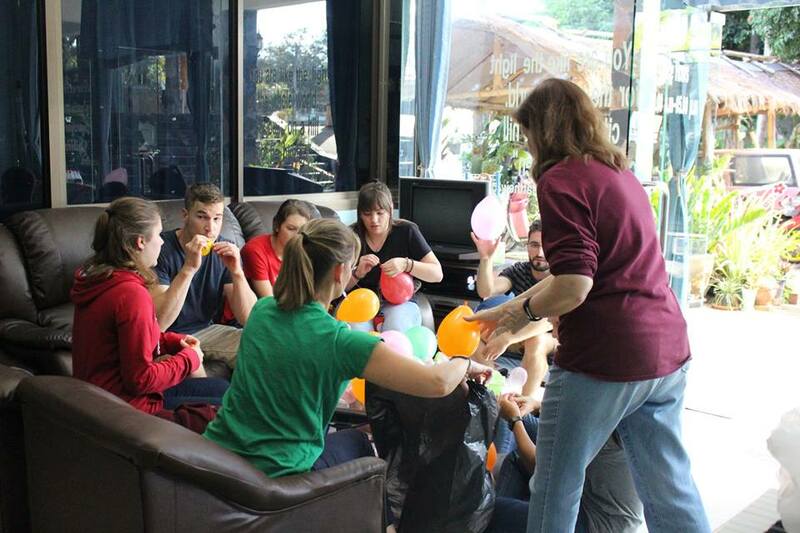 All of our 6 full time staff are 1st generation believers and committed to evangelism and discipleship. This is a picture of Jay. Jay is one of our key leaders who has been serving with us for many years now in several different roles. 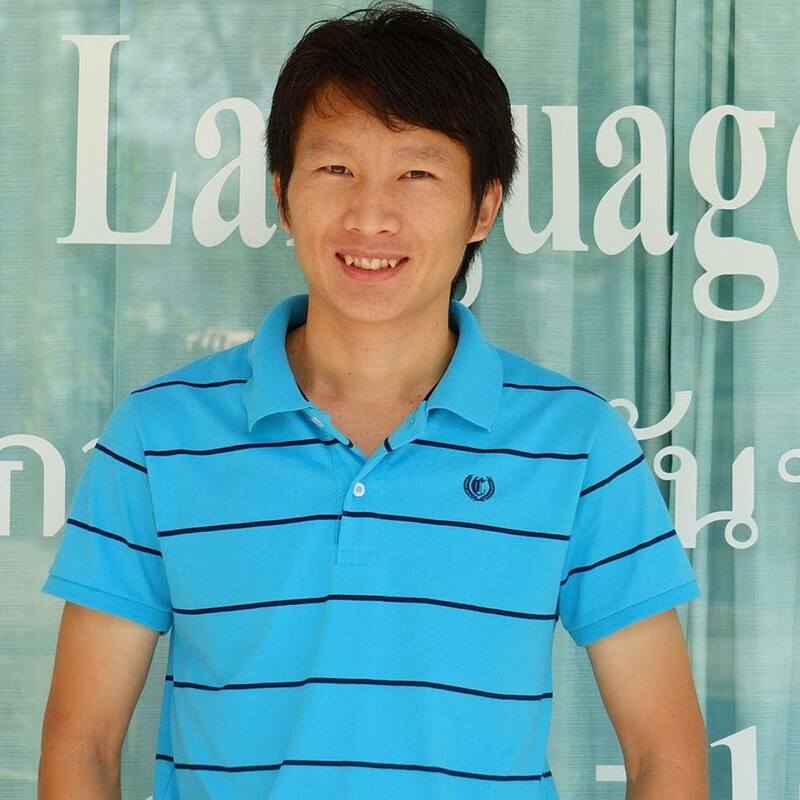 Jay serves as one of our key English teachers Grace Language School. 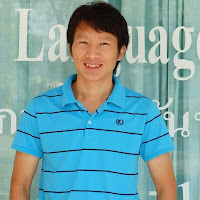 He serves as one of our key translators for Baan Athitaan Church. He serves as one of our key Youth mentors and he serves as our key leader for our soccer outreach ministry. There are 37,000 Hmong Dao living in Northern Thailand but there is a total world population of this people group of over 1 million people. According to Joshua Project statistics there are some 1,422,000 living today primarily in China, Laos, and Vietnam but also a large number living in the USA. Jay deeply loves the Lord and wants to serve Him with all his heart. 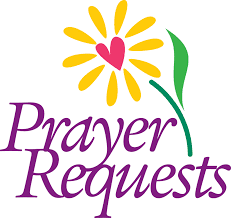 Today we would ask that you join us in praying for Jay and for NTIM’s work among the Hmong people group. 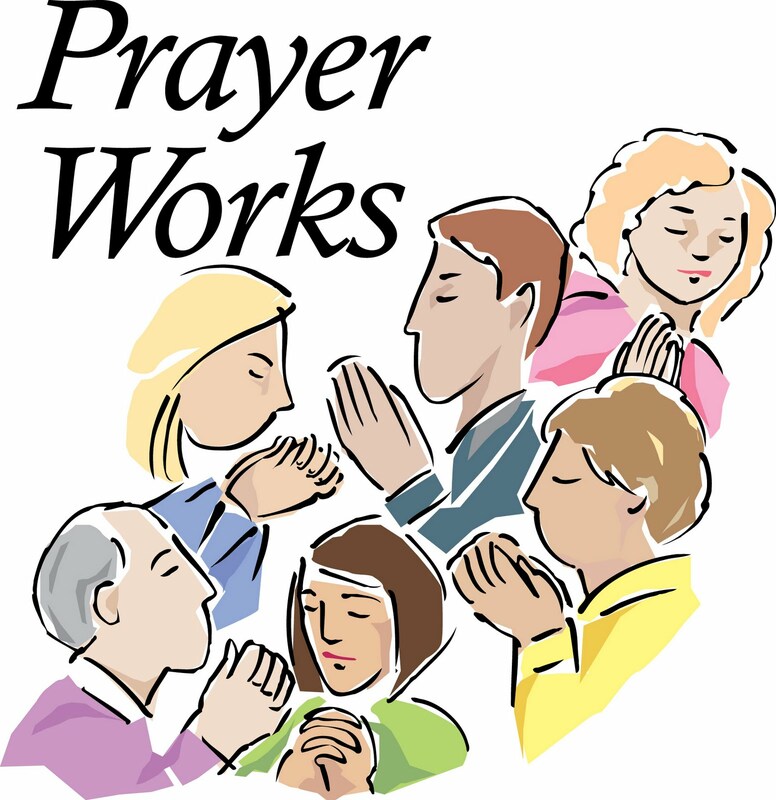 Let us join together in prayer. Thank you for joining us for this great time of seeking the face of God on behalf of millions who have never heard the message of our Lord Jesus. 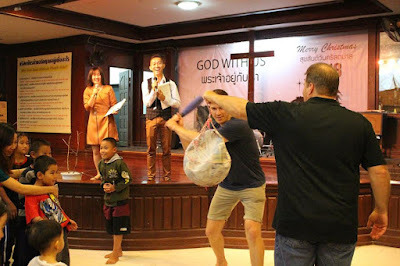 Today is Day 10 Spiritual Adventure & Season of Prayer of getting to know and then actively praying for Northern Thailand Impact Ministry (NTIM) and all of the various unreached people groups in and around Northern Thailand. We apologize for skipping a couple of days but we are back on schedule. Thank you for your patience. With that in mind, we want to ask you to join us in praying for the children in our community that we reach out and teach English too every Saturday morning at our church. We want to especially ask that you pray for the follow fruit of our Christmas ESL program this morning. 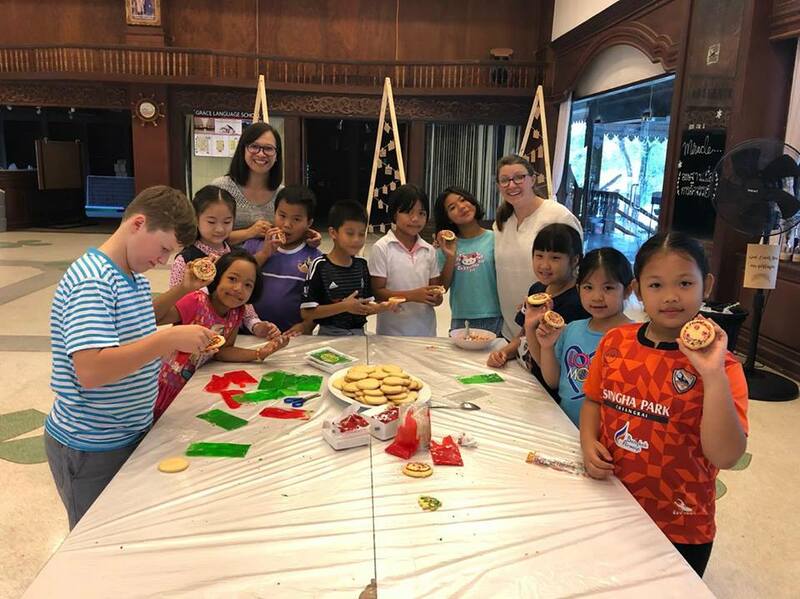 We teach English to about 45 children from Grades 1-6 every Saturday morning at Baan Athitaan Church and today we celebrated Christmas with all of these children in our special Christmas ESL program. Most of these children are from our community in Thailand and some have never heard about Jesus. This will a very special time of planting the seeds of the gospel in their hearts as we tell them the true meaning of Christmas. Please pray that God will melt their hearts and draw them to Himself. 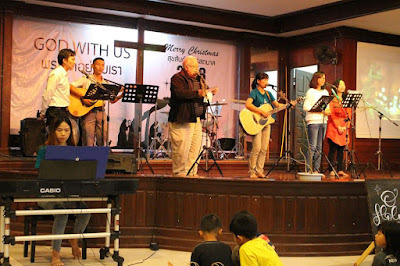 The pictures we have included here were from our Children’s ESL Christmas program today. When we look at the life and teachings of Jesus, we find that Jesus honored and considered children to be very important. We often see Him teaching His disciples to be more like children in the purity of their faith sincerity in their questions about life. Do you remember the time when Jesus disciples tried to stop the children from coming to Jesus? Jesus said, "Let the little children come to me, and do not hinder them, for the kingdom of heaven belongs to such as these." Matthew 19:14. Let’s be fair to the disciples. They really did have good intentions of not wanting these children to “bother” and “get in the way” of what Jesus was doing. The problem the disciples had is the same problem we adult have many times. We don’t see these children through God’s perspective but through our own perspective.